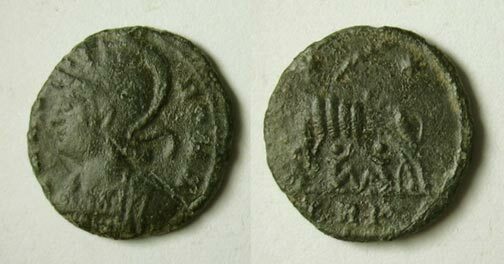 The obviously odd thing about these two coins is that they were made long before the Romans came to Britain, and they are therefore a likely indication of international trade with the Celtic tribe known as the Durotriges, who lived in Dorset where these were found. 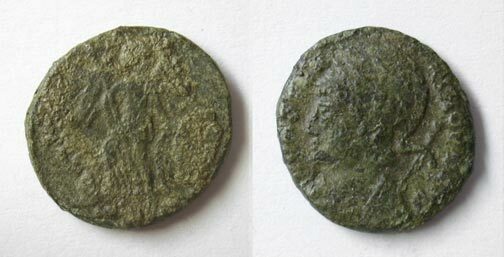 On the obverse sides, Republican coins tended to show divinity - Apollo, in the top example, and Venus below. 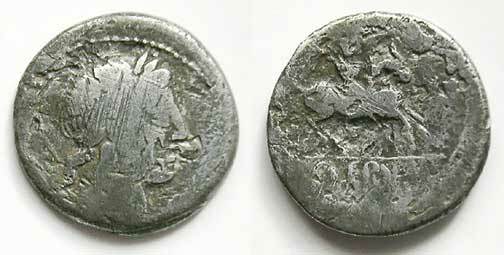 On the reverse of both are horse-related activites - a rider brandishing a spear at the top, 'victory in a triga' below. 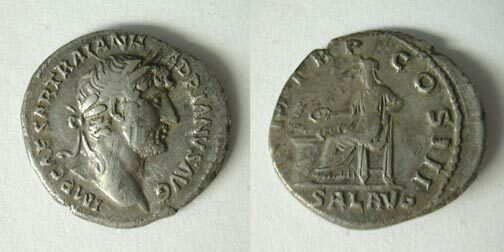 They couldn't put images of the Ceasars on these coins because... there hadn't been any Ceasars yet, nor would there be until Julius, some 25 years later. I'd like to point out that these weren't found together. In fact, their discovery was separated by nearly a year and several miles. Otherwise I would have had to declare them as possible treasure. 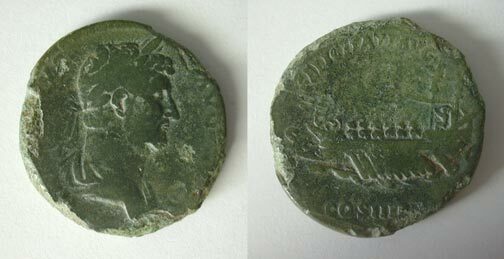 Found 3ft from the Hadrian Sestertius (below), I thought at first that this was a denarius of Trajan, Hadrian's stepfather, as his name appears to the left of the Emperor's head. 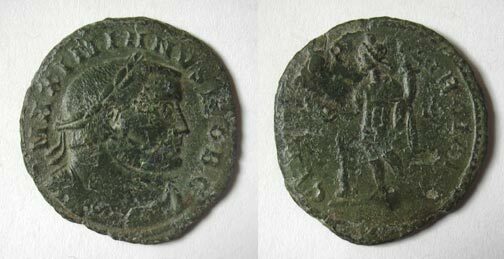 However, it appears that this is actually a coin of Hadrian. Unlisted in Spink. 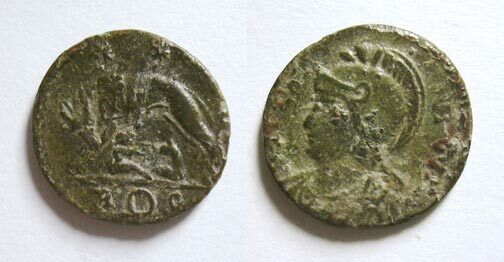 Probably from the Trier mint, but as there are no markings it's impossible to tell. 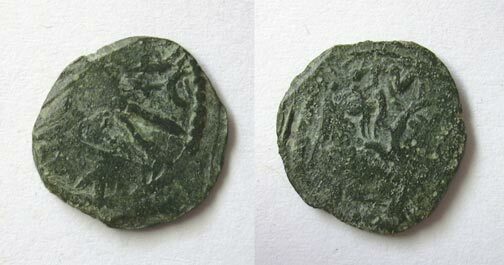 This coin comes from a turbulent period of Roman history, when the empire was effectively being ruled by more than one Ceasar at the same time. 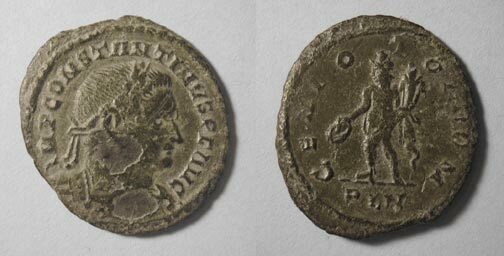 Even more confusing is the fact that the names on the coins of the period were not neccessarily the names of the current Ceasar. 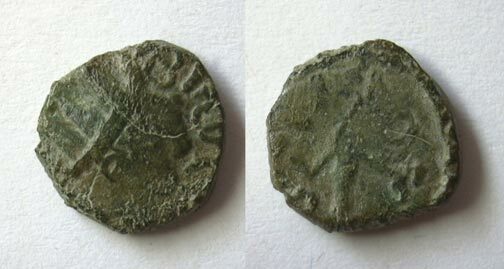 For some time therefore I was convinced that this was a follis of Maximianus, who had the distinction of being Ceasar no less than three separate occasions... Unfortunately the last time wasn't such a good idea (I suspect it was his own) and he was almost immediately deposed and imprisoned by the Emperor Constantine ('The Great'). He was found dead a few days later, the cause being given as 'suicide'. Hmmm... 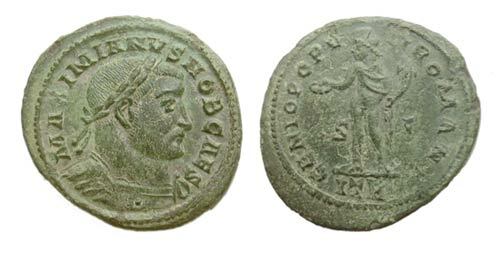 In fact, it's a coin of Galerius, who reigned at the same time as Maximianus and only outlasted him by a single year. Unlisted in Spink. Killed by lightning, executed age 30, murdered age 36, natural causes, murdered, murdered, suicide, natural causes, disease, executed. Definitely the London mint, but with a Trier obverse. mint mark is no longer visible. 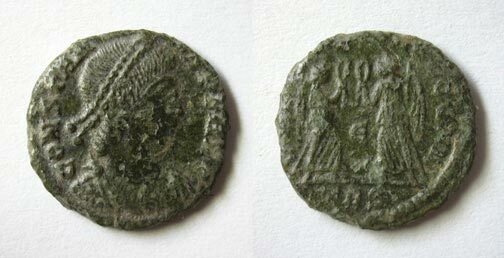 These two coins were made shortly after the Romans left England to defend their homeland against invading Germanic tribes, and are known as 'barbarous radiates'. They are poor imitations of Roman coins, on which their design is based.